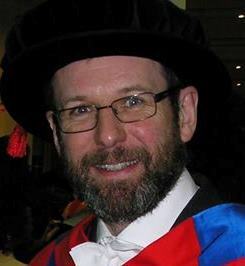 Cosmology – Confusion on a Higher Level? I’ve already posted the picture below, which was taken at a conference in Leiden (Netherlands) in 1995. 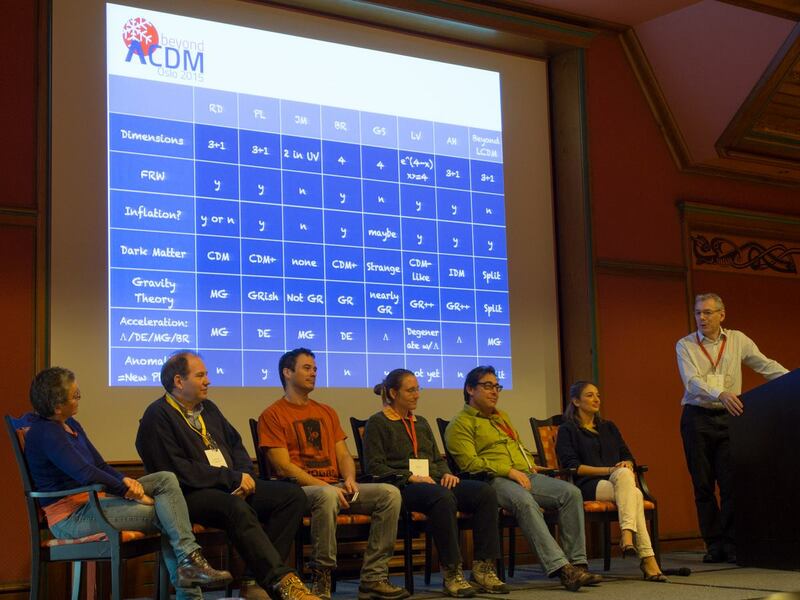 Various shady characters masquerading as “experts” were asked by the audience of graduate students at a summer school to give their favoured values for the cosmological parameters (from top to bottom: the Hubble constant, density parameter, cosmological constant, curvature parameter and age of the Universe). 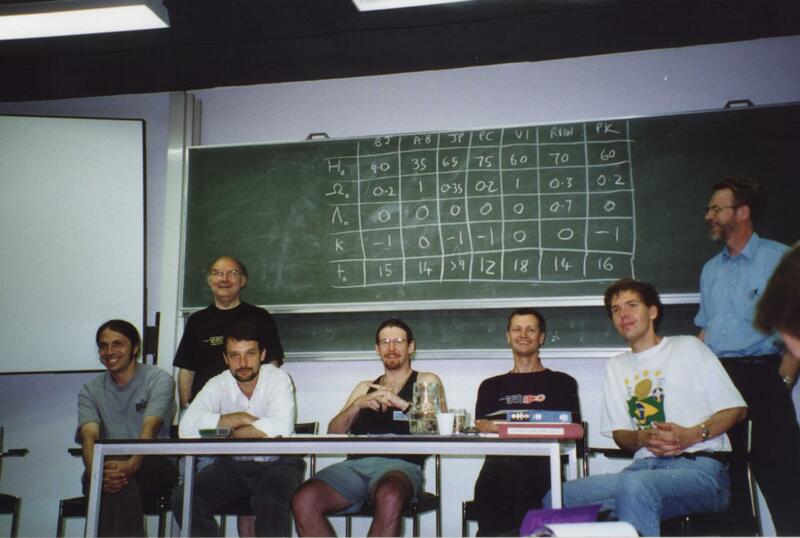 From left to right we have Alain Blanchard (AB), Bernard Jones (BJ, standing), John Peacock (JP), me (yes, with a beard and a pony tail – the shame of it), Vincent Icke (VI), Rien van de Weygaert (RW) and Peter Katgert (PK, standing). 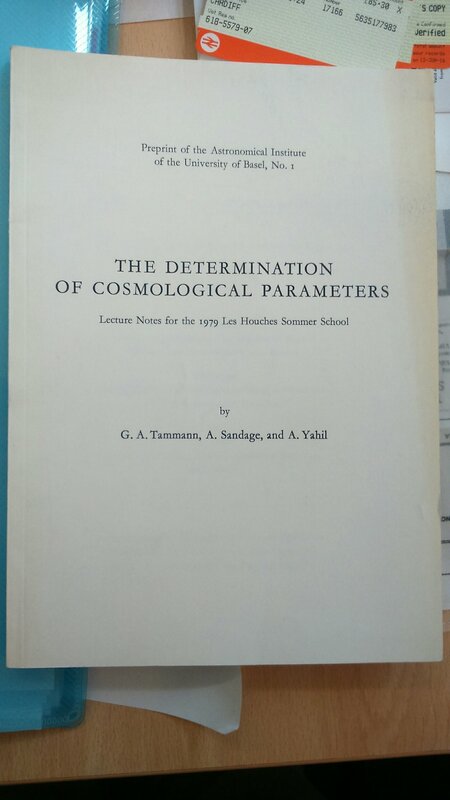 You can see on the blackboard that the only one to get anywhere close to correctly predicting the parameters of what would become the standard cosmological model was, in fact, Rien van de Weygaert. The emphasis here is on possible departures from the standard model, whereas in 1995 the standard model hadn’t yet been established. 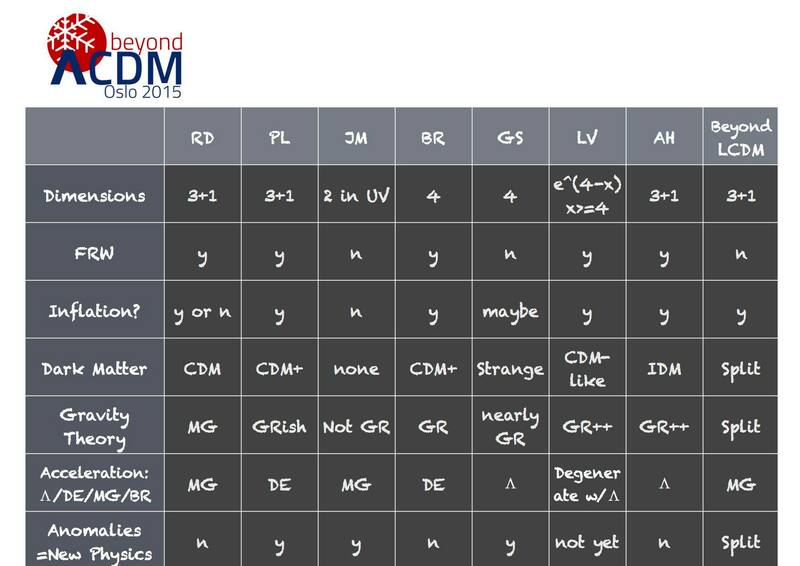 I’m not sure exactly what questions were asked but I think my answers would have been: 3+1; maybe; maybe; don’t know but (probably) not CDM; something indistinguishable from GR given current experiments; Lambda; and maybe. I’ve clearly become a skeptic in my old age. The attribution of that quote is far from certain, but I was told that it was posted outside the mathematics reading room, Tromsø University. Which is in Norway. Apt, or what? Further to my recent post about the evidence for a low-density Universe, I thought I’d embarrass all concerned with this image, taken in Leiden in 1995. 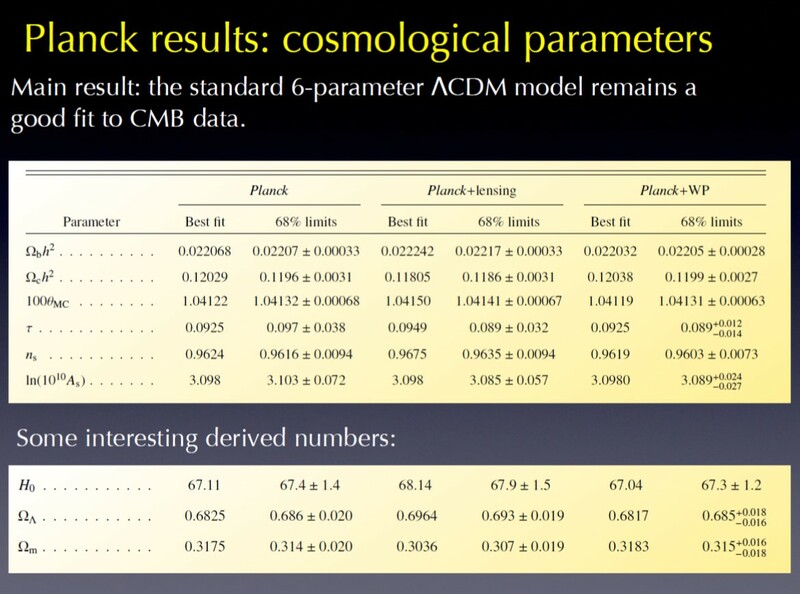 Various shady characters masquerading as “experts” were asked by the audience of graduate students at a summer school to give their favoured values for the cosmological parameters (from top to bottom: the Hubble constant, density parameter, cosmological constant, curvature parameter and age of the Universe).